Red Ochre has delivered at the British Library: Business and IP Centre a variety of training sessions and tightly focused interactive workshops. This partnership is ongoing as Red Ochre is a British Library strategic delivery partner for business support and capacity building. West Sussex County Council commissioned Red Ochre to create a handbook, a methodology and a support package for Social Impact Measurement to be used across their commissioning process. 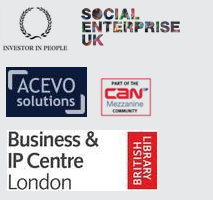 In creation of the handbook, we worked with 40 commissioners and third sector organisations.